Stable, roomy and fuel-efficient, multi-outboard-powered catamarans are poised to take on monohulls. 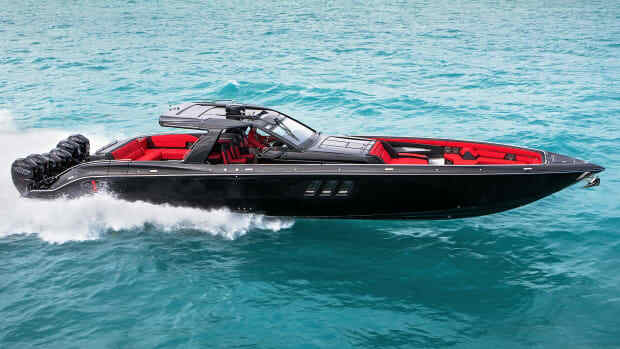 Years ago as a young editor I wrote a monthly roundup of new boats. 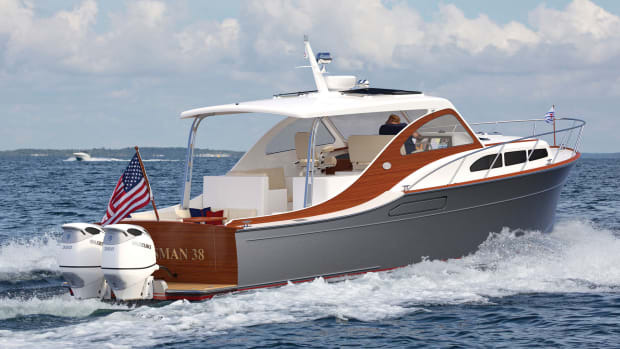 It’s easy to recall the elation I felt filing my inaugural post, and I chose an odd duck to kick it off: an outboard-powered catamaran with a salty, New England-inspired pilothouse. World Cat catamarans have been blasting through head seas for more than three decades. At the time, I was aware of manufacturers in the Pacific Northwest and Down Under that built cats with outboards. I rarely saw them—to say they were uncommon on the East Coast would be an understatement.However, I had run a big, inboard-powered catamaran while vacationing in the Bahamas and came away impressed. Significantly beamier than our cruising friends’ deep-Vs, the roomy salon and cockpit was party central—and sure-footed with a dozen revelers aboard—when moored in the region’s protected harbors. A shallow draft allowed us to enter some seriously skinny waters in search of prime swimming and spearfishing spots. And she was a fuel sipper: We had filled our tanks in Marsh Harbour and island-hopped all over the Abacos without refueling. 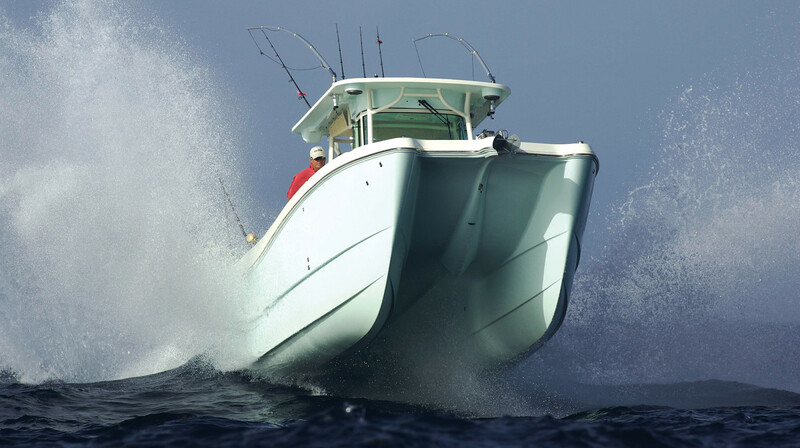 When I completed that first column, a 300-hp outboard was the industry’s high-water mark; not anymore. 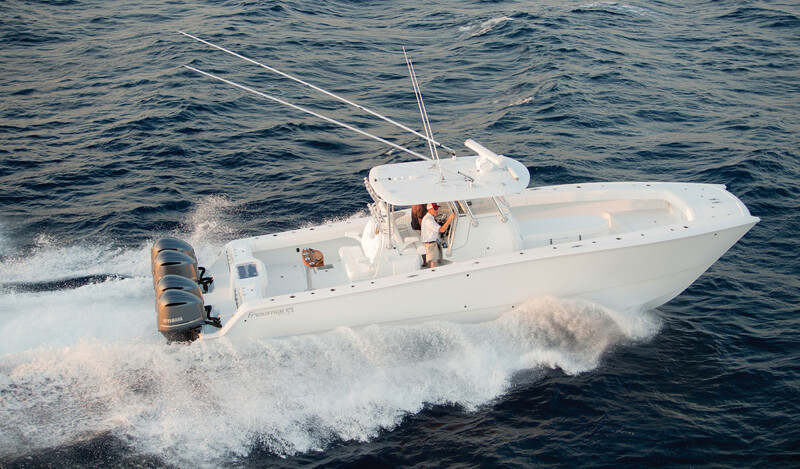 Today’s horsepower wars have allowed boatbuilders to significantly expand the LOA of their outboard-powered model lines, and catamaran manufacturers have taken note. 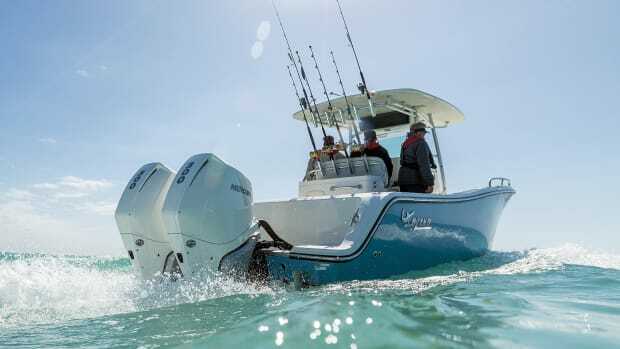 They’re turning heads with models that combine high-horsepower outboards with what builders say are a number of advantages over traditional, deep-V monohulls. An overhead shot of the Freeman 37 shows off the roomy, uncluttered cockpit. The advent of the gyrostabilizer has been a game changer to help slow the roll. 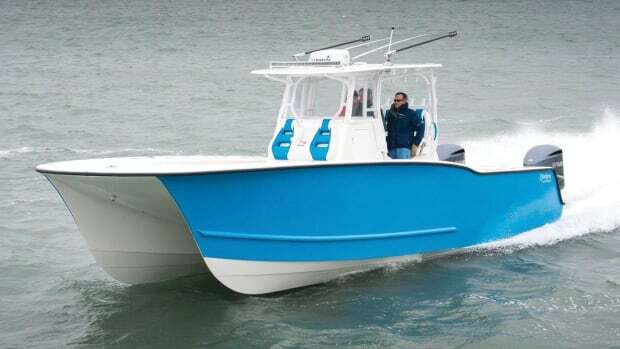 But after a sea trial on a Freeman, Scott Cothram, director of marketing and sales, mentions that some owners have opted out of a Seakeeper installation to save space and weight on board; for a 42-footer that’s an 870-pound weight savings with ample room gained. Cats owe their stability to the wider stance offered by two hulls—an easy comparison is to stand with your feet together, then shoulder-width apart. The hull design is markedly different than a deep-V and common to the aforementioned center-console catamarans. All employ a significantly sharper entry with a shallower draft that cuts through the water cleaner than a deep-V. Lower resistance gets cats on plane faster with less bow rise throughout the rpm range. And because a cat has less water displacement than a deep-V (most is captured in the tunnel between the hulls), it offers a drier ride as well. They also carry beam all the way forward, allowing for more square footage on deck. 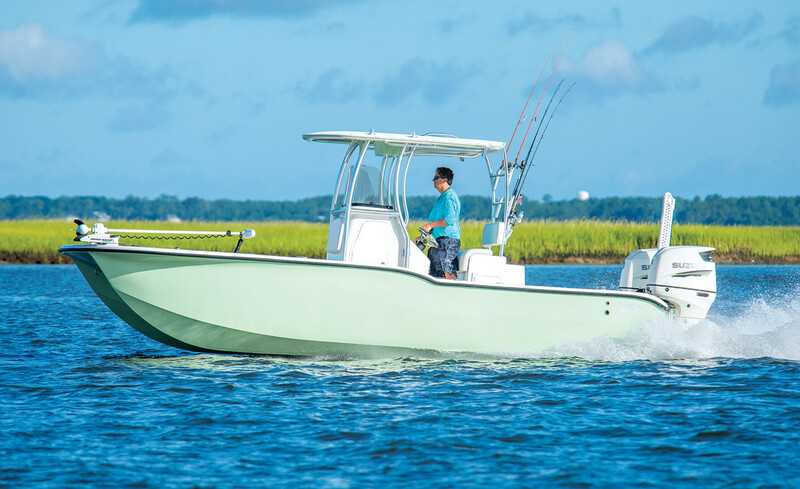 “You’re getting more in a cat—more fishing space, fishbox space, storage space, etc,” says Lane. 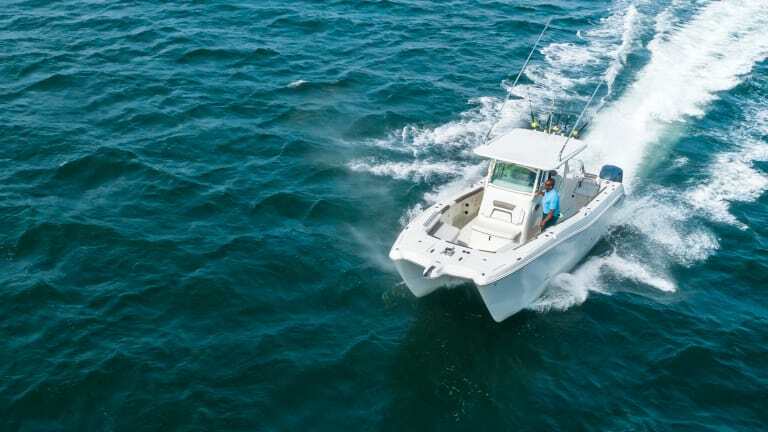 And they’ll be less likely to list, particularly when an angler has a big fish on and the crew gathers to one side of the boat to see the action up close. 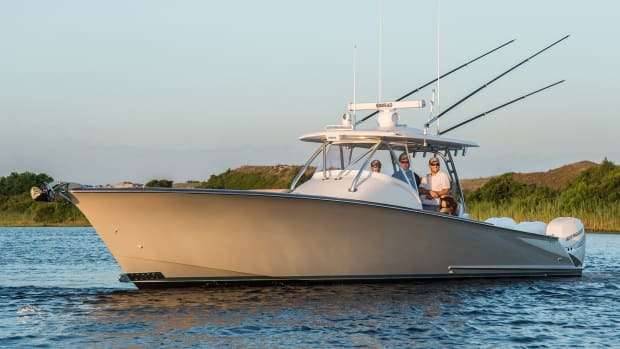 You’ll also see wider decks between the center console and gunwales, but less stowage and smaller accommodations in the console as it sits above the space between the hulls. 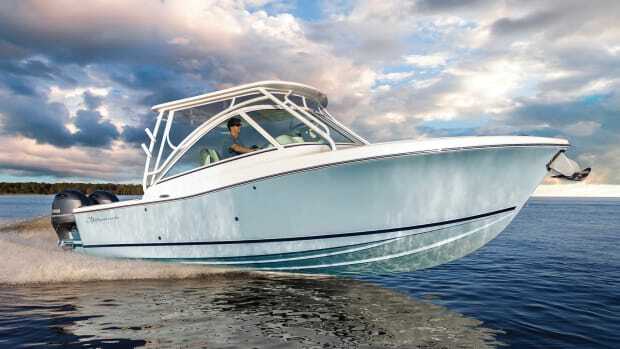 The Tideline 235 is the builder’s smaller sibling to its 36-footer. The end results are vessels ideally designed for multiple-engine configurations, with an efficiency that’s hard to match by deep-V hulls. “Our cruise speed on the 37-footer [with quad 300-hp engines] is 39 knots, and we’re seeing over 1 mpg at that speed,” says Cothram. 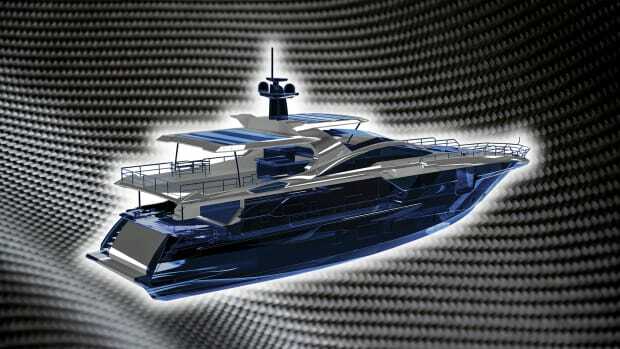 Lane claims the 32-foot, twin 300-hp-equipped World Cat will cruise at 26 knots, burning 1.8 mpg. 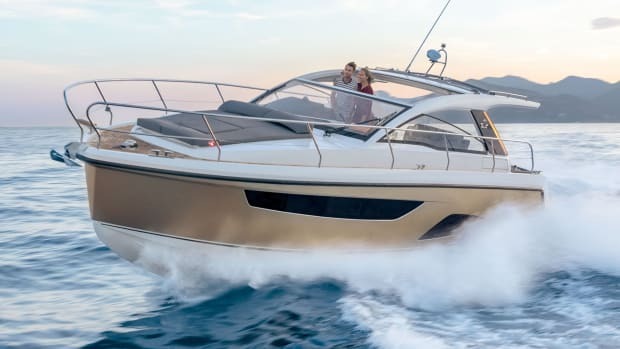 And a Tideline 36-footer will average over 1 mpg at a 35-knot cruise when paired with twin 300-hp outboards on its way to a top hop just shy of 50 knots. Want more speed? Collins tells of a 365 the builder had just delivered to a client “who wanted to cruise at 50 knots,” so they hung quad Suzuki 350s off her transom. She easily hit that cruise speed and with the throttles firewalled she’ll reportedly blow your hair back at over 60 knots. Cats are making a deep impact. Cothram says its flagship 42-footer has been ordered by current Freeman owners looking to move up and by first-timers to cats as well. 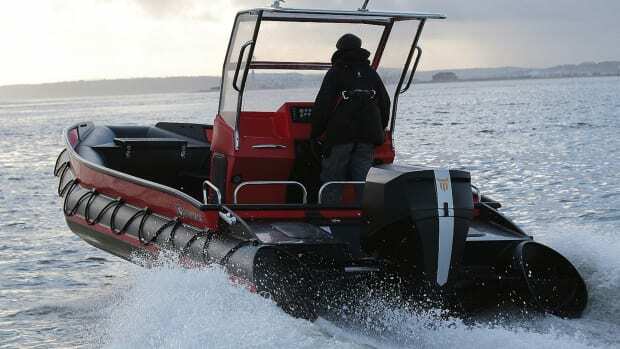 Other builders like Twin-Vee, Prowler and Insetta look for market share with vessels up to 45 feet LOA. One thing is certain: Big, outboard-powered catamarans are no longer outliers, but are becoming the norm.